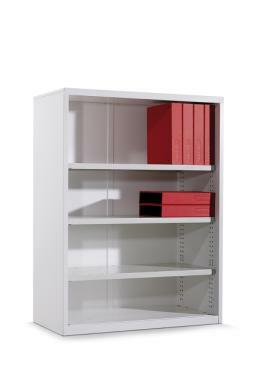 Ideal for showcasing its contents, the Strata 2 Bookcase Cabinet can be effortlessly converted to a Tambour Door or Swing Door Cabinet should the office require a secure cabinet with doors. The cabinet is GECA Certified. Durable powdercoated steel cabinet and accessories.